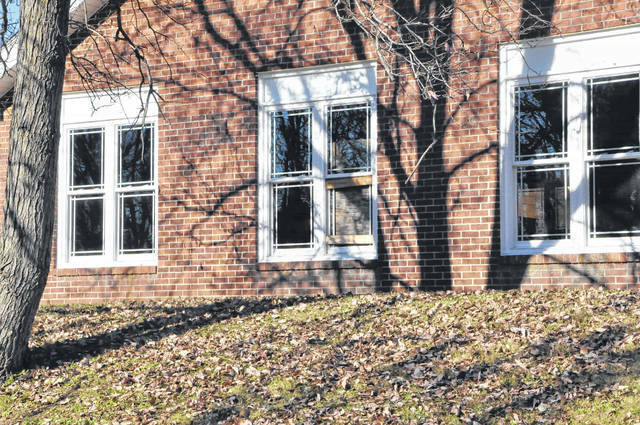 Vandals broke 23 windows over Thanksgiving weekend at the Turning Point domestic violence shelter location at 500 North Liberty Street in Delaware. Police are investigating the incident, but have no suspects at this time. The shelter is scheduled to open in 2018. Officials from Turning Point said that the recent vandalism that occurred over the holiday will not slow down construction. Paula Roller, the executive director of Turning Point, said Tuesday that someone broke into the domestic violence shelter currently under construction at 500 North Liberty Street and damaged items inside the building. Roller said a window was broken and used to gain entrance to the secured construction site. Roller said in total, the intruder or intruders, broke 23 windows including many that had not been installed yet. She said Turning Point has insurance but is still working on calculating the total amount of damage. Roller said Turning Point has raised about $2 million of their goal of $3.2 million and is still accepting donations at their website, http://turningpoint6.org for the project. “We need help to be able to finish this project and we welcome any support large or small,” Roller said. The City of Delaware Police Department opened an investigation into the damage but reported Tuesday that there were no suspects at this time. Roller also thanked the Delaware community for their support. Plans for a Turning Point facility in Delaware were announced in September 2016 when Turning Point began accepting donations, hoping to reach $3.2 million in order to renovate the facility located at 500 North Liberty Street. At an event last month, Delaware County Sheriff Russell Martin said Delaware County is the largest county in Ohio that doesn’t have a domestic violence shelter and said he was excited to have the facility open next year.